Advanced System Optimizer is an all in one PC optimization suite that helps your system run like it's fresh out of the box. It keeps your drivers up to date, protects your system from malware and spyware threats, and fixes invalid registry and Windows issues with a single click. It is a one stop shop to keep your PC running in top shape. Internet is a minefield and a single misstep might cost you your very identity. Advanced Identity Protector ensures that none of your sensitive personal information such as email ids, login ids, passwords, credit card numbers, contact information and social security number etc. lies unprotected on your Windows PC. It looks for such information on your system so you can permanently remove them or lock them in Secure Vault. If you need protection from cyber criminals, Advanced System Protector is the way to go. This anti-malware program effectively removes spyware, malware and adware from your system and protects it against real time threats. With over 10 million definitions and daily updates, this is the program you need for protection against spyware attacks. Right Backup is a cloud backup application that can help you keep your valuable and sensitive data safe and secure. What's more, you can access and share your photos, music, videos, documents and more anytime, anywhere from any of your devices. Discover the joy of online backup made easy! Duplicate Photos Fixer Pro is the ultimate tool for removing duplicate and similar photos from your Windows PC. You'll never have to waste time again finding and removing the hundreds - or thousands - of duplicates and near-duplicates on your PC. This nifty tool will help you recover loads of hard disk space! 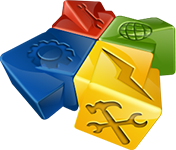 RegClean Pro is a powerful tool that cleans Windows invalid registry entries and improves the performance of your PC. It not only removes invalid registry entries but also defragments the registry, keeping it trimmed and streamlined. Using its simple and intuitive interface, even novice users can easily run the program to keep their PC running smoothly. Accidentally deleted your data and emptied the Recycle Bin too? Don't worry! We have the perfect solution for you; Advanced Disk Recovery allows you to bring back the accidentally deleted data with a few easy clicks. All external storage devices including hard drives, partitions, external devices and even CDs and DVDs can be scanned for recoverable files using Advanced Disk Recovery. Duplicate Music Fixer is an easy-to-use Windows utility that makes it simpler to manage your music collection. Whether you collect oldies or operas, rap or pop, Duplicate Music Fixer will identify duplicate audio files, and help you delete them quickly and safely. Your music collection will be more enjoyable, and you'll recover lots of precious disk space on your hard drive. Photos Exif Editor is an amazing app designed for Windows to view and edit metadata tags in photos. It helps in modifying the data and properties of images taken by your camera. Its robust capabilities allow you to read, write and edit metadata information (EXIF, GPS, IPTC, XMP) for almost all possible image formats. You can also create metadata presets to edit/delete thousands of pictures in one go. Best of all, using Photos Exif Editor you can delete photos individually or batch of photos. CacheBoost Server Edition ensures Reduced Server Downtimes and High Availability for critical applications. It Optimizes the Cache Management and enables efficient use of System Memory. PhotoStudio is a complete imaging tool designed to enable you to create and manage your images professionally. It has an intuitive interface and all the tools that you may require to create, edit or modify your digital images. It is meant for amateurs and professionals alike, who wish to manage their digital images. Subscribe to our newsletter; Get a FREE App in your email! The Systweak Newsletter is sent several times a month and includes the latest and greatest offers created especially for Systweak users. As a priority customer, you will receive the best discounts, best deals and discount coupons before anyone else! What’s more, you will get a free product in your email as soon as you subscribe and verify your email address. So get going, subscribe now!